Saturn conjunct Pluto is a major planetary occurring on average every 34 years. The last conjunction was in November 1982 and the next is in January 2020. When the two most serious and cold planets align there are hard times. Restriction and limitation force you work hard at changing something particular in your life that has outlived its usefulness. This is a slow, evolutionary process that builds new foundations on which to prosper in coming years. Before more detail about Saturn conjunct Pluto 2020 you will find information about the natal aspect and Saturn conjunct Pluto transit. 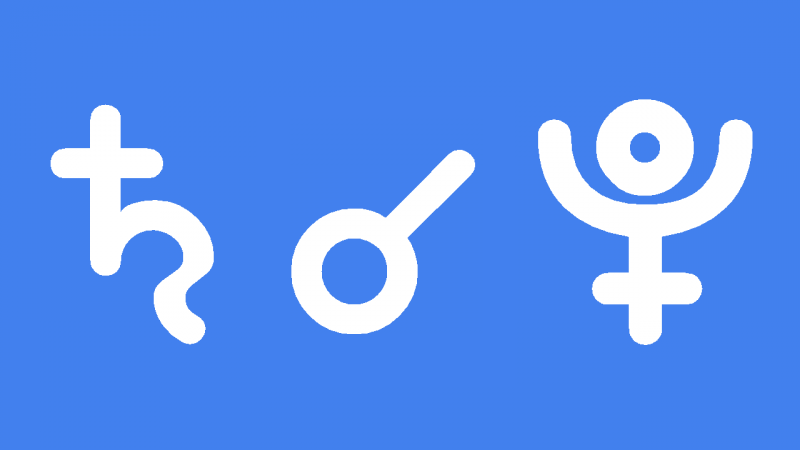 Saturn conjunct Pluto in the natal chart introduces you to hardship at an early age. Your parents may have been poor or one of them very strict, even mean to you. Even if you come from a wealthy family it is likely you experienced some kind restriction when you were young that shaped your character. It is also likely that any hardship suffered was prolonged or intense to such a degree that made you grow up very quickly. A physical, mental or emotional disability may have a resulted from your difficulties, or have been the restrictive influence that made you suffer more than most. As a result of early privation or loss you learned patience, self-reliance and resourcefulness. Such hard lessons taught you perseverance and may have given you a ruthless ambition to make something of your life. When you do face hardship like everyone else, you have the force of character to face it head on and endure it better than most. Your strong survival instinct keeps you going where others might fail. When faced with a setback or restrictive influence in your life you can change and adapt to new realities. You can also stubbornly resist change but you will realize that you must evolve to succeed in life. You can fight against some restrictions and obstacles but others you must go around. If continued hard times get you down it is important not be hard on yourself. Depression and self-destructive habits would only make matters worse and you should seek professional help in such cases. Fearing the worst can sometimes make it happen. If you experience continued loss or failure it is important to stay ethical and play by the rules. Otherwise you may face harsh criticism, scandal or legal problems. You must also resist any temptation to control or manipulate other people. It is possible that the hardships you face in life are karmic repercussions of controlling or ruthless behavior in previous lives. Self discipline, good organizing skills and good time management make you productive and efficient. Your strong work ethic and tenacity can lead to a successful career with recognition and promotion. Marked achievements are likely and you may hold a position of authority or leadership. You would work well in a career that has a defined structure and hierarchy like government agencies or large corporations. If self-employed you could build your business into a large undertaking and employ many people. Others will seek you advice and give you the respect you deserve. You will likely look back on your life with satisfaction and pride. Saturn conjunct Pluto transit is a time of hard work and serious business. You will need patience and determination as you face extra responsibilities with less time and resources to get the job done. As this transit approaches, events and people will force you to concentrate your efforts on one particular area of life that is no longer working well for you. It could be a relationship or career or a particular belief or behavior. Something in your life has outlived its usefulness and is holding you back, even if you don’t realize it at first. You may experience loss, hardship or disappointment as you learn what it is that you must let go of or change. You may feel pressured or burdened by someone in a position of authority or a government department or large corporation. This may place a strain on your finances or force you to give up a hobby or family time. It is possible that a change in circumstances restricts your ability to enjoy other areas of life until you address the particular issue. If something is broken you must fix it or throw it out. You cannot leave things as they are and resist the powerful forces that are at play. You must act responsibility and you may even have to be ruthless in taking out the garbage. It is best to approach the coming change by accepting the inevitable and do what must be done. If you ignore what soon becomes obvious, or stubbornly refuse to change, you risk complications that will make your life extremely difficult. Even worse would be to take short cuts or cheat. Immoral or unethical behavior such as lying, manipulation or breaking the law would have serious consequences that would further restrict your options and freedom. Accept change and go with the flow. Listen to your intuition and listen to the advice of professionals. This is a time for deliberate, well-considered change. Once you let go of the limiting factors in your life you can use determination and perseverance to build new structures in their place. This is a slow, evolutionary process that builds new foundations on which to prosper in coming years. The chart below for Saturn conjunct Pluto 2020 shows a stellium including the Sun, Mercury, Saturn, Pluto and Ceres, all square Eris. In mundane astrology, which governs world events, Saturn conjunct Pluto represents large organizations like multinational corporations, superpower countries, the UN, NATO, WHO and trading blocs. Expect propaganda from leaders about power plays, world trade, genetically modified foods and climate change. There will be debates, announcements or agreements about these things . The masses will be skeptical and protest the changes being forced on them. China will expand its power and influence in an attempt to overtake the U.S.A. as the dominant superpower. Jupiter in the China horoscope is at 22°35′ Capricorn. At the personal level you will have to think seriously, ask questions and seek advice before making plans about changing something in your life. The square to Minor planet Eris gives an urge to rebel against restriction and take rash actions. Use patience and determination and consider how your plans affect those under your care like your spouse and children. Ian Anderson 0°04′, Lynndie England 0°05′, Dylan Thomas 0°05′, Arnold Schwarzenegger 1°11′, Orson Welles 1°13′, Nicholas Culpeper 1°14′, Queen Victoria 1°22′, John Maynard Keynes 1°27′, George Eliot 1°33′, David Essex 1°52′, Ian Thorpe 2°06′, Prince Albert 2°12′, Camilla Parker-Bowles 2°27′, Billy Tipton 2°52′, Harriet Wilson 2°53′. My 1st Saturn return conjuncted transiting Pluto in Scorpio and my natal moon.It definatly was a transformative time.I started my job of 30 years , and I retired after my 2nd Saturn return. Ethical behavior I agree is important , as well as being ethical anyway in this life. In general I’ve had a good life.This stellium in 2020 will be transiting my 10th house , natal Chiron right on my zenith ; My. ‘ astrological ‘ curiosity is looking forward to it ! Don’t be scared 🙂 I had the Pluto Uranus square on my sun a few years ago. Nothing much happened, though I was expecting the worst. A boundary dispute with my neighbour and moving house. My new place is brilliant. Love be with you.